To automatically sync the AAAP Calendar of Events to your personal calendar, please follow the instructions on our Calendar Download page. 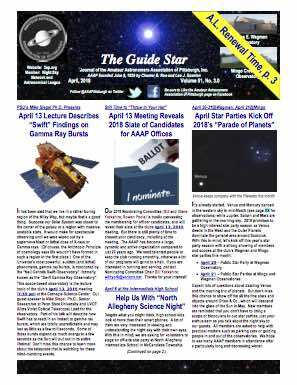 For lists of other events, check out the AAAP Star Party Schedule, the AAAP Meetings Schedule, the International Astronomy Events, or the Our Pittsburgh Constellation Events pages. Please Note: Alternate views of events (such as calendar view) are available by clicking the drop-down next to the word ‘Agenda’.